Three Rivers Entertainment traveled to Orlando, Florida to coordinate with an corporate association for their conference. The event’s Plenary Session featured ground supported rigging. 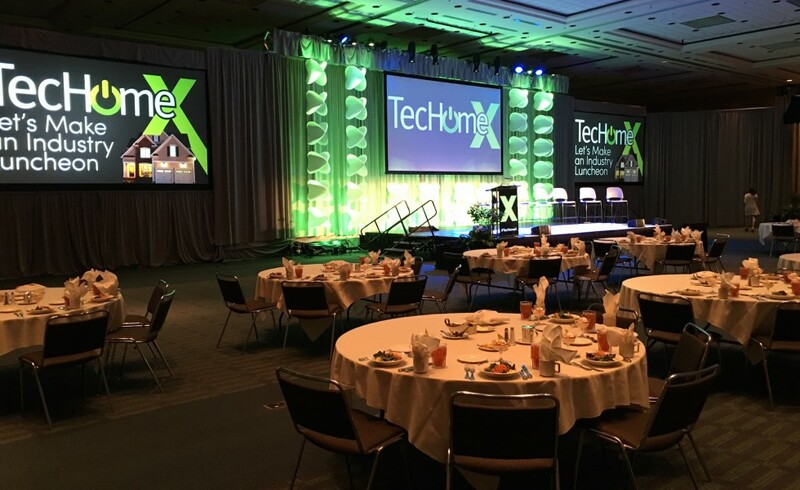 Three Rivers Entertainment provided creative lighting and design to enhance and compliment the conference’s theme and accent the floating HD screens.